Our physicians treat children and young adults with inherited bleeding disorders, including hemophilia, through our Hemophilia Treatment Center and our Hemostasis and Thrombosis Center. Hemophilia Treatment Center The Hemophilia Treatment Center – founded more than two decades ago – is one of the original programs nationwide funded by the CDC and the Health Resources and Services Administration. We receive over 600 new patient referrals each year, making ours the largest coagulation center in the western United States. We receive over 600 new patient referrals each year, making the Hemophilia Treatment Center the largest coagulation center in the western United States. Now more than two decades old, our Hemophilia Treatment Center is one of the original national programs to receive funding from the federal Centers for Disease Control and Prevention (CDC) and the Health Resources and Services Administration. The Center participates in the federal 340B program for the care and service of factor needs for our hemophilia patients. Sometimes referred to as “PHS Pricing,” the 340B Drug Pricing Program requires drug manufacturers to provide outpatient drugs to designated hemophilia treatment centers such as our hospital. Dr. Coates is an internationally known expert on iron overload and genetic red cell disorders as well as disorders of neutrophils. He is the Principal Investigator on several NIH funded grants relating to sickle cell disease as well as several large industry-sponsored grants relating to iron overload. He was recently awarded a Sickle Cell Disease Basic and Translational Research Grant, a new program which takes the place of the old Sickle Cell Centers and makes our hospital one of only twelve such funded programs in the country. He was one of four faculty members from USC involved in the NIH strategic planning process for the National Heart Lung and Blood Institute. Dr Coates is on the board of directors of the local and national Cooley’s Anemia foundation and the Los Angeles Sickle Cell Foundation. He received a lifetime achievement award this past November from the Sickle Cell Disease Foundation of California. Dr Guy Young, the director of the Hemophilia Treatment Center program is a nationally recognized leader in the field and since his arrival in early 2007 has initiated several innovative clinical research projects related to his interests in the treatment of bleeding episodes in hemophiliac patients with inhibitors, as well as pediatric thrombophilia. Dr Young was the program chair for the American Society of Pediatric Hematology Oncology’s last meeting in Cincinnati and was just elected to the board of directors of this group. Hemostasis and Thrombosis Center The Hemostasis and Thrombosis Center provides interdisciplinary care for outpatients and inpatients with bleeding and thrombotic (clotting) disorders. The center is open to patients of all ages with bleeding disorders and to children and young adults (up to 40 years of age) with clotting disorders. A sizeable and growing research program is developing new therapies and approaches to improve outcomes. Our patients have access to the latest treatment options, including experimental treatments only available through clinical trials. The center is open to patients of all ages with bleeding disorders and to children and young adults (up to ~40 years of age) with clotting disorders. CHLA provide the most cutting-edge care available including experimental treatments only available through clinical trials. In addition, the center has a sizeable and growing research program aimed at developing new therapies and approaches in order to improve patient outcomes. The center also provides education to a variety of healthcare professionals including medical students, residents, and fellows as well as nursing, physical therapy, and other allied health professionals. In addition, the center has a grant for educating international fellows from Asia. The center has specialized staff consisting of physicians, a physician assistant, a nurse practitioner, nurse care manager, physical therapists, and social workers all of whom have knowledge and experience in the care of patients with these conditions. Treating a child or adolescent who has cancer or a blood disorder is different than treating an adult. Each decision must be designed with the child’s development in mind. With 50-plus years of pediatric experience, we strive to help each child return to as normal a life as possible, as soon as possible. Every patient is seen by an interdisciplinary team, which may include pediatric oncologists and hematologists, radiation therapists, specialized nurses and physician assistants. Also on CHLA's team are experts in pain management, rehabilitation, child development and nutrition, along with art and music therapists. CHLA understands a family’s world is changed in many ways when a child is diagnosed with blood disorder. Our social workers, each assigned to specific medical programs, guide families throughout the hospital experience. They serve as advocates, assist with education and connect families to support services, in the hospital and the community. 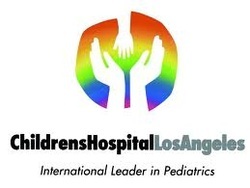 With a variety of facilities within the Center –a medical service clinic, urgent care and day hospital – CHLA can tailor their services to the individual needs of each family.